Ceiling wallpaper as you know it, is an alternative to materials like plaster and is great for covering cracks and uneven surfaces. However, in 2018, ceiling wallpaper isn’t so much of a convenience anymore. Instead, it’s embracing the fifth wall. Dating back to the Victorian era, ceiling embellishments were at their prime as decorators would continue designs from the walls. Although wallpaper, in general, has had its peaks (and slumps, as much as we hate to admit it), it’s not until now that ceiling wallpaper is making a big comeback. Here’s how you can create this hot new trend for 2018 and introduce the fifth wall in your room. Let’s start some ceiling wallpaper ideas with a popular style. Who doesn’t love lying back in the garden or on the beach and watching the sky sail by? 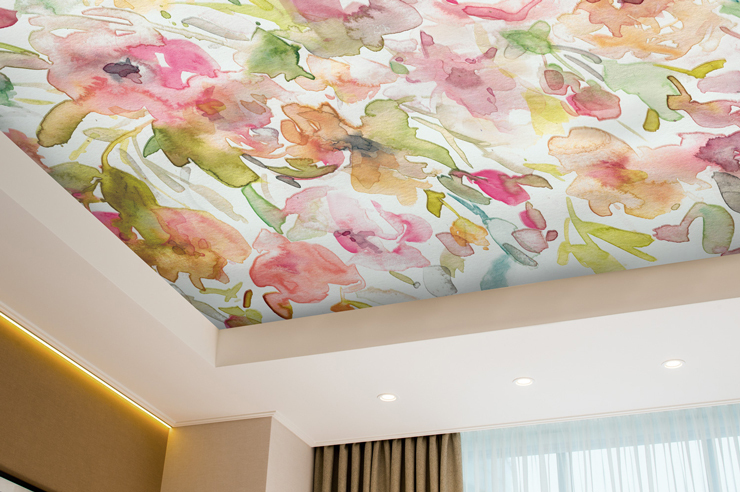 Sky ceiling wallpapers are a great way of bringing the outdoors in and creating a relaxing space. For evening entertainment rooms, cinema rooms or bedrooms, explore our range of space wallpapers. You’ll discover a vast range of starry night sky wallpapers and breathtaking imagery from NASA to bring a cosy cosmic feeling to your room. 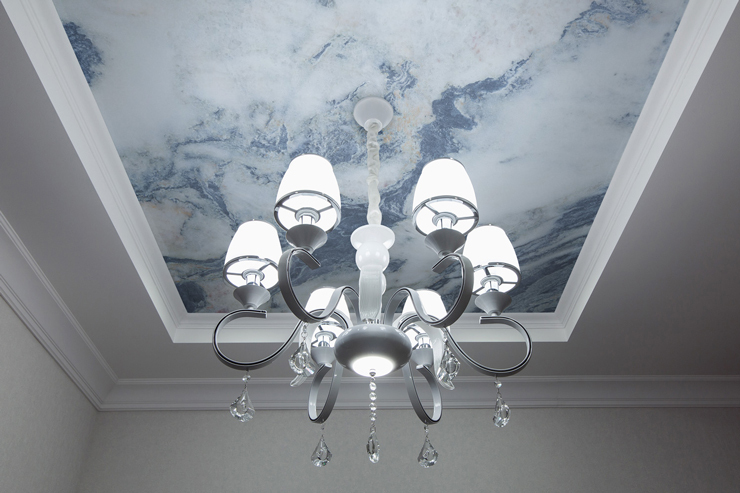 For a sky ceiling that’s more refreshing and uplifting, check out our range of sky wallpapers. 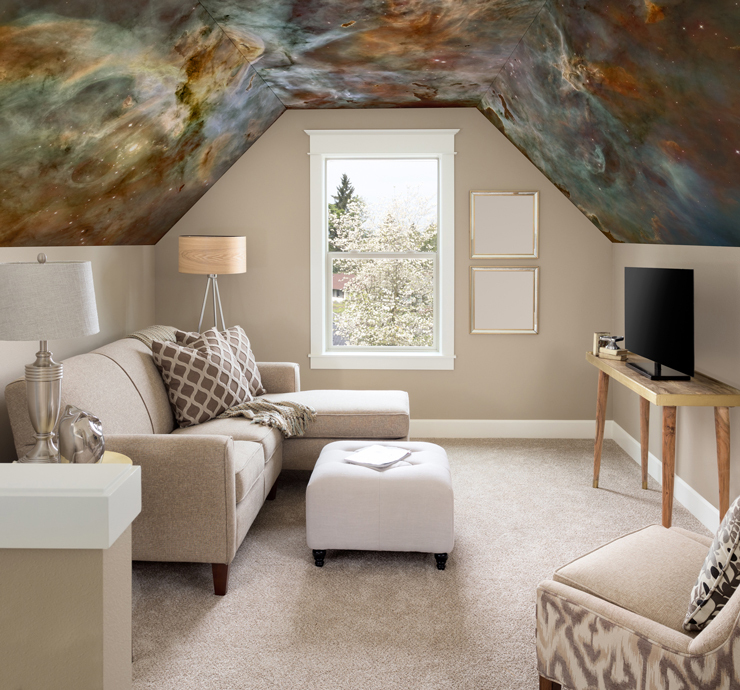 From bright blue skies with sunlight peering through clouds to dramatic lightning bolts, there’s a wealth of sky ceiling wallpaper opportunities! At Wallsauce.com, we have a huge range of wallpaper styles that you can enjoy on your ceiling. 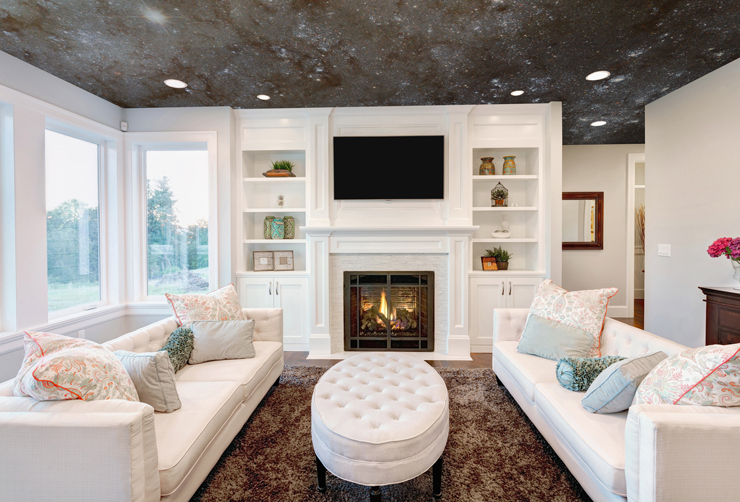 If skies and stars aren’t your style, or you’re looking for something a little more trendy, here are your alternative ceiling wallpaper ideas. Love to travel? Imagine laying in bed and planning your next adventure! Opt for a map mural in a neutral colour for your bedroom and find yourself drift asleep as you get excited about your next trip. Floral wallpaper is another great alternative for adorning your fifth wall. Available in many bold and colourful prints, we have a vast range to suit any existing colour theme. Pattern wallpaper, in general, is particularly great for creating a centrepiece on your ceiling. If you’re design conscious, you might want to check out our marble wallpapers. Along with statement ceilings, marble is a hot interior trend for 2018. Combine both trends and create the ultimate feature wall! We realise that ceilings alone are tricky, but what do you do about choosing wallpaper for a pitched ceiling? First of all, note that the shape of the ceiling and the angles may hug the room. Therefore, consider any dark colours in the wallpaper as too much may overwhelm the room. Something like this NASA wallpaper is perfect for creating a cosy nook, no matter the time of day. 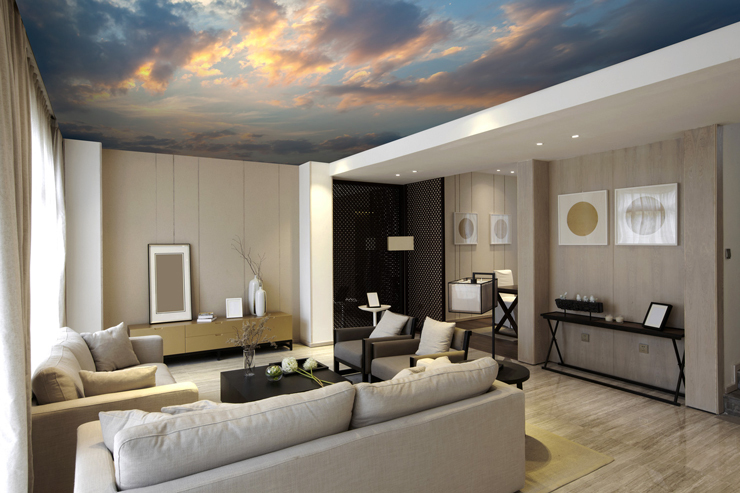 It’s dark background with washes of light colours in the foreground creates a perfect balance for the space. No matter what room you’re looking to introduce this bold new trend too, there are many options to suit your personality, style and any existing themes in your décor. Simply explore our full range of wall murals. Which style of ceiling wallpaper would you decorate your fifth wall with? Comments are welcome in the section below.